We are all aging every day, and if we are lucky, we will live longer than our grandparents did. Health care in this country is amazing, and many people are living until a ripe old age, which can be a blessing, but also, a challenge. One effect of this progress is that more and more of us are encountering physical limitations and even cognitive problems. Many of us have parents who are still commitment to independent living even as they struggle with health concerns and diminishing mobility. It can be overwhelming and difficult to navigate the health care system, determine the best or most cost-effective resources, and ensure that your parents are enjoying the quality of life they so deserve. Over the past few years, I found myself in this position – overwhelmed by the needs and challenges of my parents. I particularly needed reliable information. That’s when I found ACAP (which stands for Adult Children of Aging Parents). I attended their convenient, informative meetings and have learned much about the joys and challenges of caregiving and aging gracefully with support. ACAP has proven to be a lifesaver to me in many ways. An ACAP Chapter is now operating in the Winston-Salem area. 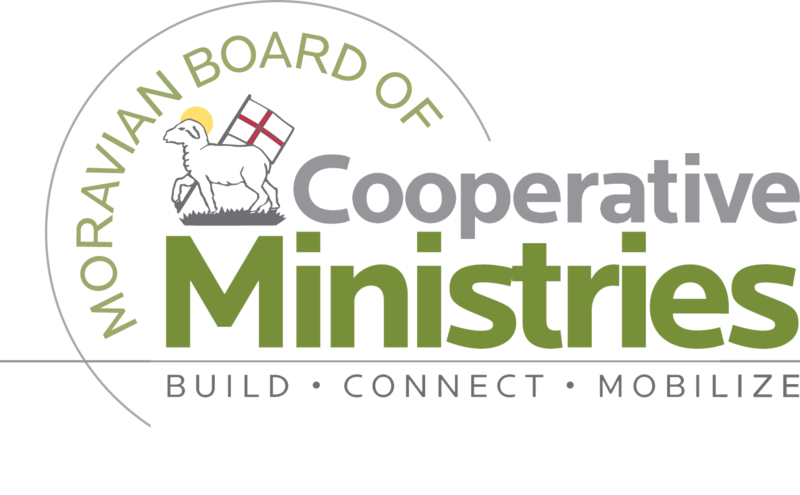 ACAP Winston-Salem will hold its first meeting on Tuesday, September 18 from 5:30pm until 7:00pm at Knollwood Baptist Church, 330 Knollwood Street in Winston-Salem. Meetings will be held the third Tuesday of every month at this location. The first meeting will deal with community resources available to assist with whatever needs you may have regarding the care of your aging parents. You will be able to ask questions, meet community representatives and the ACAP leadership team. Register for the meeting by emailing your name to acapwinstonsalem@gmail.com. More information about ACAP is available at ACAPcommunity.org. If this is a need that you have, please join us. If you forget to register, please come anyway. All programs are free and are intended to assist the members of our community. On Saturday, August 15, the Moravian Board of Cooperative Ministries will hold the fifth annual Children’s Festival and Lovefeast. The event will take place at Hope Moravian Church from 2:00 p.m. to 5:00 p.m. The festival commemorates the Moravian children’s spiritual renewal of 1727 in Herrnhut, Germany. Every year, this festival features several activities and events for children and their families. In addition to these activities, a commemorative piece is made with participation from the children. A few of the pieces have involved painting, and this year’s commemorative piece will too. The Children and Family Task Force hold the commemorative pieces from all of the Children’s Festivals to date. This year’s commemorative piece will be a painted tree, the branches representing the various communities and congregations of the Moravian faith. The tree trunk will be pre-painted on two pieces of plywood. These pieces will be placed on a corner of Hope Moravian, one piece on each corner wall. Attached to the plywood will be pieces of canvas cloth, each of which has branches painted on them. There are four canvas cloths, and each piece of plywood will have two cloths extending off of it to the side (about six feet out). The children will be invited to make the leaves by placing paint handprints along the branches. A couple weekends ago, I helped create the commemorative piece by drawing the branches. Later that next week, the Children’s Festival planning team got together to paint the branches. The commemorative piece, like anything in the church, is a labor of love and a community effort. There is also something about utilizing your innate creativity, and making handmade art, that brings out your inner childlike wonder and excitement. There are a lot of amazing talented adult artists out there. Each one of them is talented in a different way. But one is particularly relevant to the commemorative piece for the Children’s Festival. I remember learning about Picasso in art school and the creative process that drove much of his work. As an adult, he sought to recapture the way children saw the world, and the way they expressed that through their art. There’s a freeness, simplicity, and purity in the way children create art. Through the Children’s Festival, we hope to encourage children to lead a life of faith and to never lose that child-like wonder. We also hope to remind adults that they can always recapture that wonder daily through their lifelong journey as children of God. We look forward to seeing you at the Children’s Festival, both the children and the children-at-heart. Come ready to learn, have fun, and explore our vibrant faith. 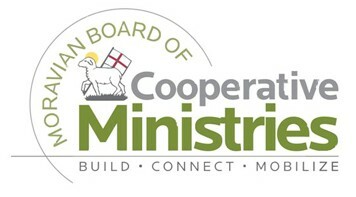 Andrew David Cox is the Communications Project Manager for the Moravian Board of Cooperative Ministries (BCM). Andrew is a driven creative person with established experience and skill in a variety of fields. He enjoys following motorsports in his spare time, particularly NASCAR. Seven Moravians, both clergy and laity, from seven different congregations, reflect on the Southern Province Synod of 2018. Read their reflections below. You can find the official Synod 2018 summary from the Provincial Elders’ Conference on MCSP.org. Then there were the big things: a sense of community, that we were brothers and sisters in Christ, and we were greeted that way. There was evidence of the Holy Spirit’s guidance as we reached consensus on hard issues. “And in all things love…” was shown to our brothers and sisters, even those with whom we disagreed. I’ll conclude with Jeremiah 29:11, a promise God made to his people Israel, but also a promise that the Moravian Church can claim even today: “For I know the plans I have for you, plans to give you hope and a future.” Thanks be to God. My attendance and participation at Synod 2018 was the first of this kind since my transition from the Baptist denomination. Being able to have participated was a great opportunity, as I got firsthand experience of the mode of operation of a Moravian church business meeting of this magnitude. I learned so much over the three day period, and I am confident that what I have learned will aid in my development as I seek to serve God and my fellow brothers and sisters. The high points of Synod for me were the worship sessions and the small group meetings. The worship sessions were thoroughly orchestrated and worship was intentional. The small group meetings allowed for bonding with each other as we shared in one common discussion. Although we may not have all agreed on a particular subject, there was mutual love and respect which was essential to the theme of Synod, “Living the Essentials With Courage for the Future.” The essentials of course are faith, hope and love. Additionally, to see a female being elected bishop was just an amazing thing for me. My hope is that as the church moves forward, she will seek to hold the banner of Jesus Christ high, be the salt and light of this sinful world, and will not compromise the word of God. Synod 2018 was my first Synod experience as a pastor and member of the Moravian Church in America, Southern Province. I was overwhelmed by the overflowing presence of the Holy Spirit I felt and experienced through delegates’ personal testimonies and statements, as they shared on the floor in vulnerable and intense moments. It also resonated with me watching Moravians of different congregations and backgrounds join around the table at meals and talk as if they had known each other their whole lives. As I traveled home from Synod 2018, I felt a sense of humility and compassion for the young adult delegates who began to find their voice and speak up. As a young person and young clergy, it can be hard at times to find a appropriate way to speak my thoughts, feelings, and desires on topics that could be different from those around me in the church. We often say we want the voices of the young people, but then when their voices do not line up with those in the church, the sense of wanting their voices suddenly becomes a faint memory. The voices of the young adult delegates and the reception received from older delegates has given me more hope and excitement for the future of the Southern Province. Synod 2018 left me with the reminder that we can accept the differences age and opinion bring. With Christ at the center of our faith, nothing can stand between us as we move forward together with hope for the future of the church. Synod 2018 was a memorable experience in my first year of ministry and I look forward to being part of Synod for many years to come. “The Lord is risen!” These familiar words from the Easter Morning Liturgy were the first words spoken at the 2018 Synod. It seemed fitting that we began our time together by praying this Moravian confession of faith. As we stated, in one voice, our shared belief in God- Father, Son, and Holy Spirit, and in the church, we heard stories of how different Moravians live out their beliefs with faith, love, and hope and were challenged to consider how we do the same. As the Synod did the work of examining and overseeing the spiritual and temporal affairs of the Province – electing new leadership, calling bishops, and considering proposals – the essentials of faith, love, and hope were very evident. Although we had many differences of opinion, we were able to share those differences while remaining united in our love for our Savior and our love for each other. It was a great learning experience for not only the business side of our Synod, but also the spiritual side of my life. We not only got a lot of work done for the Southern Province, we also had a lot of powerful worship services involving some wonderful pastors and leaders from all over the Moravian Church. Our work actually started last fall when I was assigned to the leadership committee and during some of those meetings, we spent a lot of the mornings and afternoons trying to streamline processes. I also learned how incredibly busy it is as we went from worship services to committee meetings and back to Synod-wide business meetings where proposals are voted on and passed. It was fun to be a part of several such proposals that made it to the floor of Synod, to get to read one such proposal aloud on Sunday, and watch as it got voted on and passed. This really sends a powerful message to all of us. We are listened to when we are sent as representatives of our respective churches and that we have a strong voice in the PEC and the Southern Province. This year’s Synod, my first Synod, was a time of anxiety for me. I knew of the pressing issues and the contentious conversations that would likely take place. I did what I could to prepare myself for committee and plenary session and was certainly witness to some challenging moments. What I did not expect to see was the Spirit at work throughout the entirety of our time together. It began with the warm sense of welcome I felt upon my arrival, continued through the election of our newest bishops, and was most apparent during the most stressful times. Despite our differences, moments of disagreement were regularly followed by outpourings of love. This showing gave me solace and stands as an example of how we as Moravians are called to share our message by living out the essentials we proclaim. Our church is not defined by the differences we sometimes find in one another, but rather it is defined by the unity and the brotherhood we share in Christ. With most of my anxieties at bay, I returned home with a renewed confidence in our church. As we work to discern our mission in this world, may we continue to listen to the moving of the Spirit. The Daily Texts for the day following the conclusion of Synod, April 23, summarized my experience appropriately: “Cast out all your anxiety on him, because he cares for you” (1 Peter 5:7). I left Synod 2018 with two overwhelming feelings: exhaustion and hope. I knew the weekend was going to be a long one, and I expected many tough discussions to come before the delegates. Truthfully, I was preparing for the worst. In the end, the final decisions (and especially the process to get there) made the sometimes-endless meetings worth it. There were a lot of emotions, a lot of tears, and certainly some disagreement along the way. But through it all, the words spoken by our brothers and sisters were spoken with love and respect. We were constantly reminded that, even though we have different views, we have one incredible thing in common: our love of Jesus Christ. It was this essential, the one that Moravians speak of so often, that allowed us to move forward in unity. I certainly don’t take that for granted. One important observation I had – something that surprised me throughout was the number of young people representing their congregations and agencies. We hear a lot of talk about the average age of our membership (not often in a positive way). This Synod was a reminder that we have great leaders, including a lot of active and committed young people, who are willing to challenge the church and lead us into the future. As the end of 2017 has come and gone and the beginning of 2018 is here, I think about the past few months of Regional Youth Council (RYC) and what we have in store for the remainder of the 2017-2018 school year. This past fall we had some amazing events, both for RYC and the greater province youth. To help knock out Senior High Camp planning, we had a great lock-in at Macedonia Moravian Church. This was a wonderful event for many reasons: 1) We were able to bond with each other early in the school year, 2) we got the majority of Senior High topics picked out and ready for Laurel Ridge to use for camp, and 3) we were able to attend a different Moravian church to see how they worship on Sunday. Next on the schedule was the Youth Fall Rally that was held at Friedland. Thanks to many parents of RYC members we had lots of pumpkins to carve, a DIY caramel apple station, and then we closed the night with s’mores and campfire. For the event after the fall rally, we headed up the mountain to have our fall retreat at Laurel Ridge! During our time on the mountain, the Rev. Carol Foltz led us in learning about some of the amazing Moravian leaders in our past. We also helped Laurel Ridge by painting some of the cabins, and ended the weekend with a beautiful snow fall! We had an amazing first half of the year with the RYC, and look forward to a just as great a second half! Coming up we have a mission trip, a youth lovefeast, and a suicide awareness and prevention seminar. In March, we are planning on offering the suicide awareness and prevention talk shop. It’ll be offered to the RYC representatives and their parents. During talk shop, the parents and youth will split up to discuss this important, but often unspoken topic, with Ruth Cole Burcaw and Rev. Kelly Moore leading. Hopefully this event will shed some light on suicide prevention and open up an important line of communication. In April, the RYC will be hosting a provincial spring event at Hopewell Moravian Church. The details of this event are still in the works, but it will be an exciting time of fellowship and spiritual growth. Not to mention, there’s going to be a lovefeast! The RYC also wanted to help the many families that were victims of the devastating hurricanes that affected Texas and Florida this past summer and early fall. In June, we are planning to take a group to Texas to help with some of the recovery work that is still happening. This will be a wonderful time of bonding, growth, and mission for all that are involved. This is an exciting trip to be able to take as a group and we look forward to lending a hand to those in need. While we have many events planned for the next few months, we will still have plenty of time to do our favorite RYC activities such as singing, fellowship, and spiritual and leadership growth. These next few months are sure to be filled with exciting events for the group and I can’t wait to see all that is planned pan out. I wouldn’t be able to do any of these exciting events if it wasn’t for my wonderful adult advisors, parents, and RYC reps that make planning and organizing these events so much fun! Hanna Jackson is the RYC Coordinator for the Moravian Board of Cooperative Ministries (BCM). She attends Calvary Moravian Church in Winston Salem. In her free time, she enjoys running, hiking, baking, and crafting. Okay, don’t tell my husband, the Rev. Aaron Linville, but I love to sing Christmas hymns—sometimes, even during Advent. I know, I know, it’s terrible and I should respect Advent—and I do. In the past, guest writers for this blog have reflected on Advent hymns during this season, but with Christmas being tomorrow, I think it’s safe to squeeze in a reflection on a Christmas hymn. These days especially, the hope, joy, and peace offered by many Christmas hymns is irresistible. And nothing lifts my spirits, no matter the time of year, like hearing and singing my favorite Christmas hymn: Softly the Night is Sleeping (Moravian Book of Worship, 284). The slow and soft start, the sharp call to listen: “but hark!”, and belting out the refrain—it’s truly exciting to sing. It’s a roller coaster of a song telling the amazing story of Christ’s birth. It moves from a serene, almost bucolic scene with shepherds, interrupting them with a blast of beautiful bursting from the sky, bringing forth the dawn and joyous new life, and ending with an invitation to join the people and beings of all rank in glad praise. *Whew*–I never knew a Christmas song could be exhausting, but this one really packs in a lot. There is so much descriptive language and emphatic punctuation—look at the number of exclamation points in that song! I am envious of each verse. I long for peaceful hills and music falling from the sky, crimson mornings and smiling infants, gladsome visitors and a heart of sunshine. Despite it being Christmas, our hearts might not feel like they are made of sunshine or growing three sizes. Babies cry, mornings are cold and gray, and the noises of the busy world can drown out all the music falling from the sky. And it often seems like the earth has not seen peace since that still and silent night thousands of years ago. Personal pain and the pain of the world can feel sharper when we are reminded of this wondrous night each year. And though for me, this song is a joyous one, I know that the dreams presented in this song and many other ones can seem out of reach. Peaceful hills and clear mornings can be infrequent and unheard of for so many today, and we can find ourselves feeling defeated when our lives don’t seem to resemble the beautiful scenes in Christmas songs. But, as my husband always reminds me, because Jesus is born like this: of a woman and in a stable, and grew up as a human person, every aspect of our lives is blessed. When we are poor and lowly, we can still come to God, for Jesus was once poor and lowly. And that’s what I love about the last verse of this song, that we are invited into this beautiful scene. No matter who or where we are in life, whether we are fearful shepherds, confused wise men, stressed computer technicians, patient caretakers, or indecisive students, we are all invited to come to our God. We don’t have to bring a side dish or gift for Dirty Santa. We don’t have to make small talk or clean the house. We are invited to simply come to our God, and there find our own soft, sleeping night like that night so long ago. Amy Linville is the College Ministry Coordinator for the Moravian BCM. She spends her time outside of work taking classes to become a librarian, serving Rural Hall Moravian with her husband the Rev. Aaron Linville, and snuggling her puppy and two cats. Life is full of trials and tribulations. No matter where you are in life, speed bumps that can sometimes feel like walls show up to slow you down. These moments can bring one down to a point where it feels like there is no one or nothing to help you. Some of my friends are struggling in their identity and life as a teenager. Relationships, school work, what to wear to school, how to fit in. You name it, and a teen is stressing out over it. So many situations stress us out and you have a choice whether to let it slow you down or make your wheels turn a little harder. I know that thinking about the future stresses me out. College in the fall, my career choices, and even a big test I have tomorrow worries me. Not knowing my purpose or where my decisions will lead me causes me to question myself and my faith. I know that I am not supposed to worry and stress over things that are out of my control, but I do it anyway. God says “Cast your cares on the Lord and He will sustain you; He will never let the righteous be shaken,” Psalm 55:22. I go to the Lord with my struggles and worries, but sometimes I feel like I am not asking the Lord. Instead, I feel like I am asking myself to fix my own problems. As a child, I was taught to trust in the Lord with all my heart and I will be given strength. This message has been said time and time again, and I think we as humans hyper focus on those words and end up stressing ourselves out to make sure that we are following this guidance out of a sense of obligation. We as Christians should instead let go of our tight grip on the things in life and give ourselves the freedom to trust in the Lord. Not only will this help to mellow our stress, but we might find that we become better stewards and examples for others. Helping others and sharing experiences has always been a passion of mine and helps me to feel more grounded. Not only can you see your words changing others’ behavior, but you get the chance to mean something to someone. Recently, these situations have been presented to me by some of my close friends. Some people think that it is a sign of weakness to ask for help, because they say “there is nothing wrong with me, I don’t need help” or “I can handle my own problems.” But there is nothing wrong in seeking guidance, because to seek guidance in others of faith is to seek guidance in the Lord. “Say to those who have an anxious heart, ‘Be strong; fear not! Behold, your God will come with vengeance, with the recompense of God. He will come and save you”(Isaiah 35:4). As youth in the church, we should make more of an effort to reach out to our friends and neighbors in need. Even if you aren’t a youth, everyone who helps the least of these will indeed be helping the gracious Lord himself. Through all the stress and anxiety of the world, the Lord is your backbone. Sometimes you forget he is there, but he is the only way you move through the day, despite the stress. The future will come as it does and whatever God put on your path, he has an intention for it and you. “Therefore do not worry about tomorrow, for tomorrow will worry about itself. Each day has enough trouble of its own.” Matthew 6:34. Chose to be stopped by the speed bump or go over it with confidence. Lilly Brendle is a senior at North Forsyth High School. She attends Fairview Moravian Church. Lilly loves to sing and play hand bells in church, as well as participate in youth led events for the younger children.